Visapur is a hill fort near Visapur village in Maharashtra. 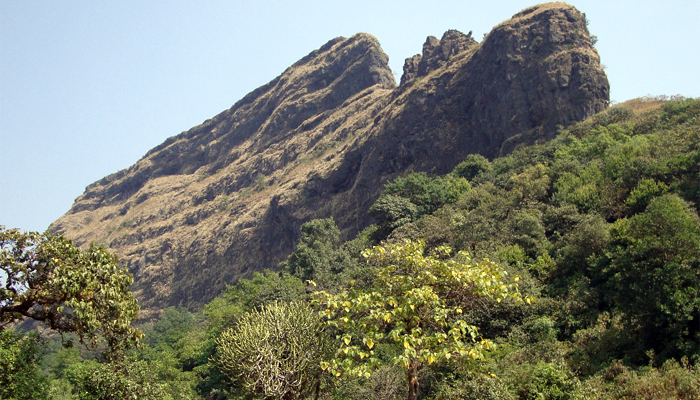 It is a part of the Lohagad-Visapur fortification and is located close to Malavi station. Visapur fort is larger than Lohagad which is known to be its twin fort. One can reach Visapur via two routes, one from Malavi station, the second route from Bhaje caves to Lohagad village base. During the monsoons, you can witness several reverse waterfalls on this fog covered fort. Arrive at Malavi Station by around 10:00 am and further proceed towards Visapur base village. On arrival a small self-introduction session and briefing will be given for the entire trek. We begin trekking upwards on Visapur fort (Approx 2-3 Hours Climb). On reaching atop we freshen up and gather for a delicious village style home cooked Vegetarian Lunch. After some leisure time we proceed to begin descending down. Reach base village and relish some refreshments before heading back to Mumbai. Trek Cost: Rs 3000/- per person without transport.